Editor’s Note: This article first appeared in the NMA’s Driving Freedoms Magazine Winter 2015 but we felt the information is still pertinent today. When diabetics unexpectedly go into insulin shock, their symptoms (slurred speech, dizziness, disorientation) can mimic those of being under the influence. More than 30.3 million people in the US have diabetes, and that number is only increasing. As a result, incidents of police mistaking diabetic shock for DUI appear to be rising, sometimes with dire consequences. A Google search will quickly reveal many shocking accounts of innocent motorists who had the misfortune of being pulled over for driving while diabetic. This is exactly what happened to an NMA member in Virginia. If you have diabetes, the American Diabetes Association provides information on how to minimize the risks of driving. Learn more about diabetes and law enforcement and a 2014 position paper on Diabetes and Driving. Here is the NMA member story from 2015. I was driving home from an evening meeting and suddenly passed out! I was going into insulin shock. I hit a vehicle stopped on the street and rolled past it for about one hundred feet where I was stopped by a police officer who had witnessed the accident. The officer yanked open my door and pulled me out shaking me and screaming about my being drunk, which confused me even further since I don’t drink. I wear a medical warning bracelet and also have a wallet card explaining my diabetes. The officer ignored both, and instead of calling a rescue squad he put me through alcohol testing. He even sent for a second breath tester because he thought the first was broken. The officer continued to ignore my pleas for help. He locked me in the back of his cruiser and went away. I was in a bad spot. If my condition worsened, I could go totally unconscious until all bodily functions ceased and I would die. The officer returned after an hour and said he was taking me to the emergency room. I breathed a sigh of relief thinking he finally understood my problem until he said he was taking me in for drug testing. As soon as I got to the hospital, I asked the nurse to check my blood glucose, which she refused until I demanded that she do so. My reading came back very low, and she immediately called the duty doctor and brought me orange juice and cookies which helped me to recover in a few minutes. The doctor also put me on a heart monitor. The police officer wanted to take me to jail, but the doctor wouldn’t release me. The officer wrote up an arrest warrant and told me to appear at the police station after I was released. He charged me with felony hit-and-run and being a drug dealer who overdosed on drugs. I turned myself in expecting the charges to be dropped. Instead, I was booked and had to post bail and was forbidden to travel until my court appearance. If convicted, I could possibly spend time in prison. I hired an attorney and also contacted the American Diabetes Association (ADA) for advice. The ADA never responded. I contacted my doctor and some others who could assist me in court. I received copies of my blood tests for drugs and my diabetes and went to court. Despite all the evidence I was startled at the position of the court. It took three hours to convince the judge of my innocence. He finally released me and the ordeal was almost over mostly. I then filed a complaint against the officer for ignoring my needs and for filing an obvious wrong charge. It was ignored. Next I hired another lawyer to file a removal of all record of this incident. I also contacted another attorney to see about suing the officer or the city. He said I couldn’t sue the city because there was some law against doing so. I was going to sue the officer but before I could, he got himself in trouble. He had cited a young woman but then offered to tear up the ticket in exchange for sexual favors. She promptly contacted the mayor and voiced a complaint. The officer was ultimately dismissed from the police force. The bottom line is that with the growing number of people with diabetes, police around the country will need better training to recognize the symptoms of diabetic shock and to respond appropriately. Many lives depend on it. Are you an NMA member with a traffic story? Contact us at nma@motorists.org and tell us your story. 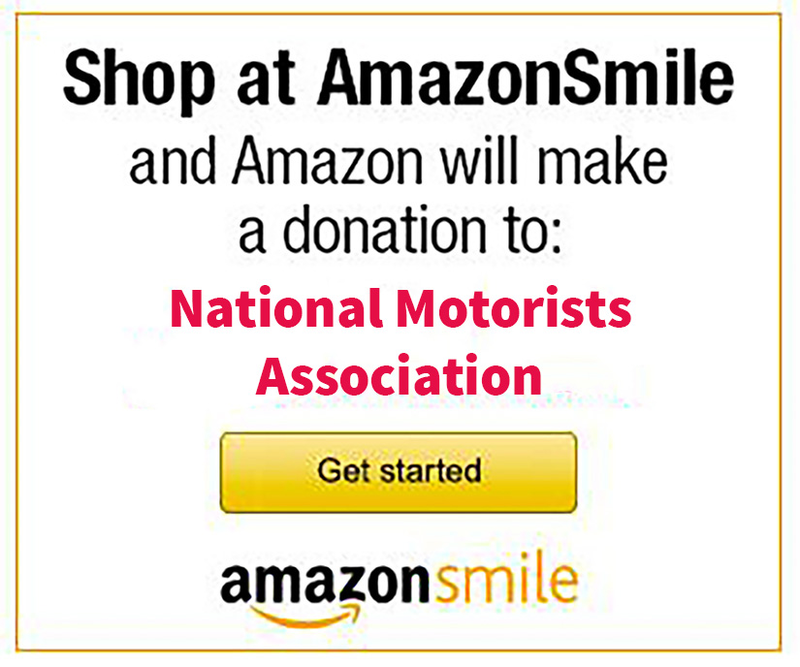 If you not a member, join the NMA today and find out how you can become a motorist advocate!